Sai Sudha Gavini, a graduate student at Western Illinois University, allowed the Western Courier to take a sneak peek into her daily routine as an international student. 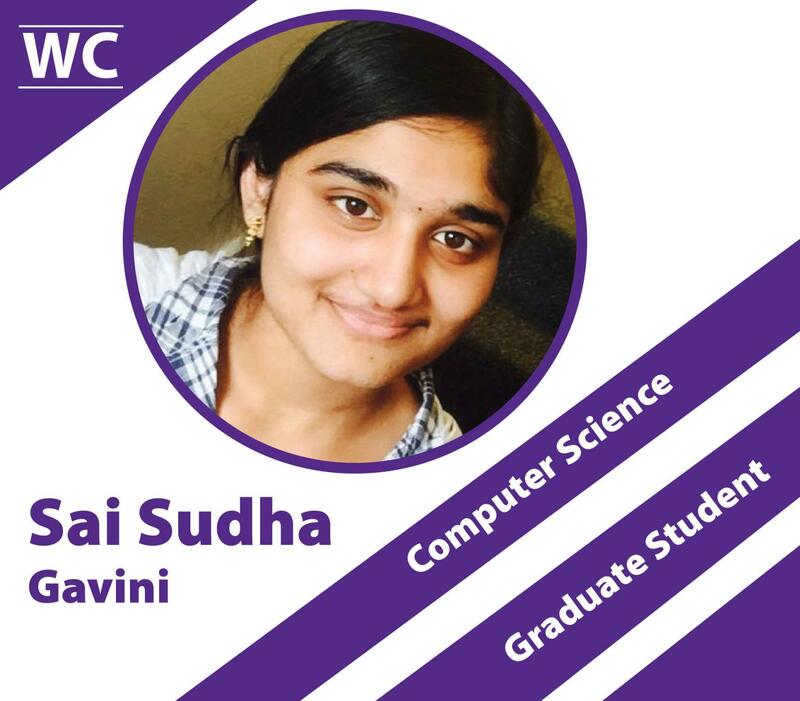 Originally from Vijayawada, India, Gavini is in her third semester as a graduate student studying computer science. Gavini said that it is difficult to come to a new country with different cultures and food and that Macomb is very different than her hometown. Every morning Gavini wakes up and does yoga. She said that this keeps her fit and energetic throughout the entire day. After yoga, she goes to work at One Stop Rocky Shop, the convenience store located in the University Union, as a student worker. In March of 2015, she was given a Certificate of Appreciation and was announced as the Student of the Week by her coworkers and manager. She is one of the only international students from India to be given this certificate. Gavini said that it’s difficult to come to a new country while still performing well in class and holding a job, but that she has been successful and established a routine. Gavini started becoming accustomed to life in the U.S. and her favorite movie is I, Robot. “Now when I look back, I just feel like time flies with my daily routines,” Gavini said. Gavini said she has an inspiration that she strives to model herself after. Vineel Sai Simharaju, a classmate of Gavini is very appreciative of her and her hardwork. Gavini also gave some advice for any students who are looking to study in a country different than their own.